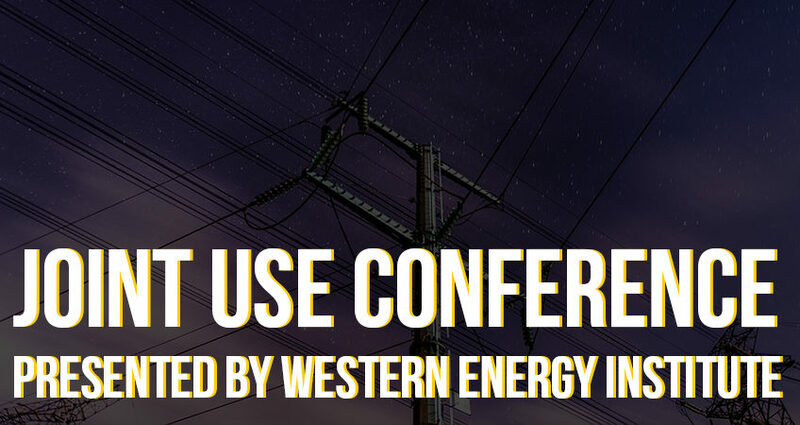 MOUNTAIN Attends the Western Energy Institute's 2018 Joint Use Conference - MOUNTAIN, LTD.
Last month [September 17 – 21] Gregg Klatsky (Director of Business Development | New Gloucester, ME) and Dennis Pappas (Regional Vice President of Engineering | Littleton, CO) met up in Albuquerque at the Western Energy Institute’s 2018 Joint Use Conference. 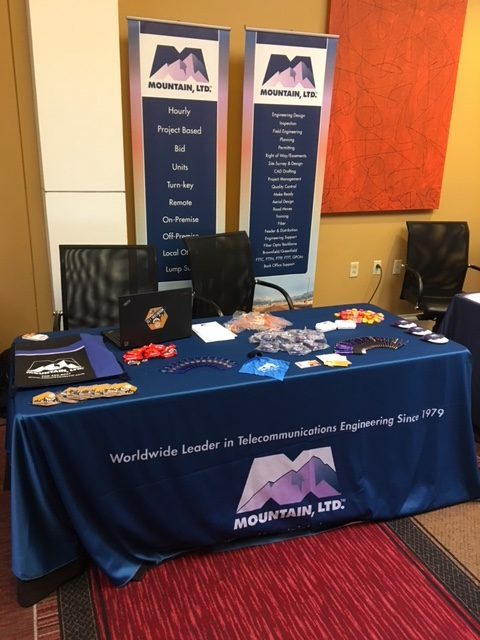 We had the opportunity to serve as a vendor at the conference, allowing us to connect with both current and new partners. Joint use has become a central interest to the work MOUNTAIN is doing around the country. Keeping up with how the telecommunications world is changing, joint use is an integral part of understanding how we work together with our clients. Joint use is sharing the use of poles, by mutual agreement, between pole-owning utilities, typically the local telephone company (Incumbent Local Exchange Carrier or “ILEC”) and the electric utility. Space required is generally 1.5 – 3 feet for telephone attachments. [Edison Electric Institute]. For more information about how joint use works, the challenges, and the benefits, Alden Systems has a great write-up on the topic here. Dennis was able to attend the session “Joint Use 101” presented by Jason Nemjo of Clark Public Utilities. He said it was a great refresher on network elements existing in the power and communications space today and what factors come into play when join use requests are submitted. Camera attachments, as a part of joint use, were also discussed by a panel of experts in a different session. Panelists focused on the importance of teaming with local law enforcement to better understand the need for surveillance while refining internal processes to ensure the proper handling of equipment when encountered in the field. Other sessions included “Small Cell Development” facilitated by Eric O’Brien from Crown Castle (Speaker: Nichole Hogan Bates from Tampa Electric Company), “Joint Use on Street Light Poles” facilitated by Tim Gasser from Crown Castle (Speakers: Doug Haberman from Seattle City Light, Patti Rafish from NorthWestern Energy, and Keith Williams from Georgia Power Company). While on their trip, Gregg and Dennis were able to network with state municipal power companies and co-ops to brainstorm ideas on solving various industry issues. 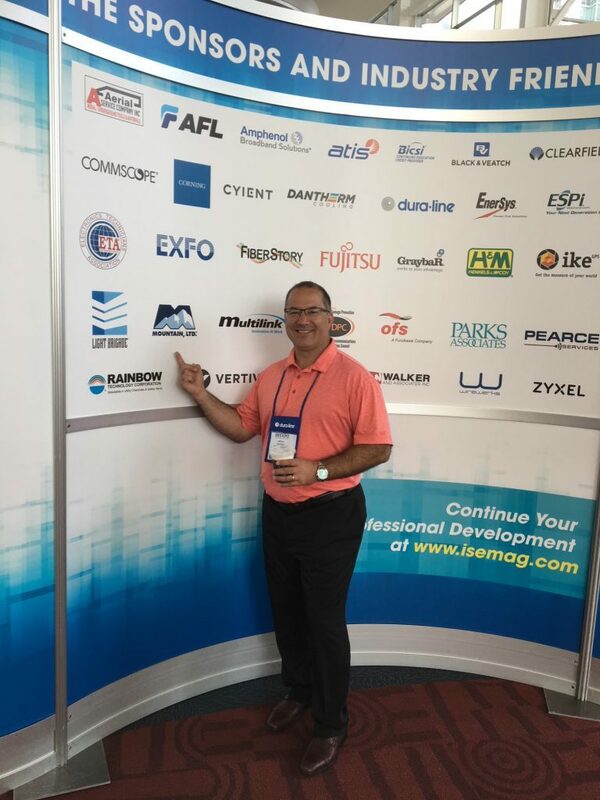 Topics included double wood, attachment, and network build issues, and new industry requirements that impact the infrastructure in their various locations across the nation. A central focus was placed on how technology can help innovate how we look at pole loading. We were able to check out some new project management software and collection tools. These opportunities allow MTN to have a full understanding of the challenges facing our clients and how we can adapt to offer the best services. It wouldn’t be a trip with Gregg if a few rounds of golf weren’t played, which is always a good time to connect with clients in a more casual setting to discuss the work we are doing. We even made a few new friends on the golf course, and took second place in the tournament! Gregg and Dennis would like to thank everyone they had the pleasure to connect with in Albuquerque and look forward reconnecting to see how MOUNTAIN can serve as a partner in the conversations surrounding joint use. A special thank you to the Western Energy Institute for hosting informative and engaging sessions.